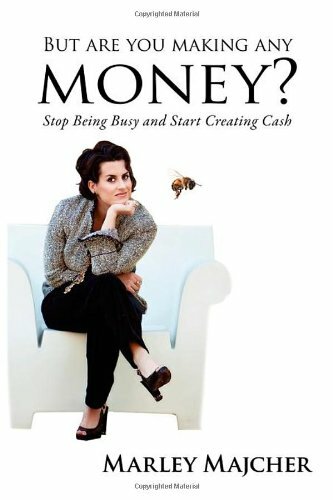 Well-known celebrity party planner, Marley Majcher, in her signature witty, no-nonsense style shows you how to make a real profit without spinning your wheels. But Are You Making Any Money? answers the questions that you’re afraid to ask in a straightforward, easy to understand way. In But Are You Making Any Money? you will learn how to fatten up your bottom line in a unique, super simple, step-by-step process that shows you where all of your money is really going. By learning from the trials and tribulations of Majcher’s own entrepreneurial journey, you will magically see yourself in her examples yet learn the skills necessary to turn a real profit, all while laughing out loud. Who knew business could be so much fun?